American Horror Story: Cult is inspired by the 2016 presidential reaction and its aftermath, but it is not directly about Donald Trump or Hillary Clinton. “Our feeling is that everybody lost their s–t after the election — Republican, Democrat — and everybody’s still losing their s–t, and nobody’s really figured out from either side where to put those feelings,” creator Ryan Murphy said at a recent press event. However, main characters Ally Mayfair-Richards (Sarah Paulson) and Kai Anderson (Evan Peters) “have very strong views” about Trump, 71, and Clinton, 69, according to Murphy. In fact, Peters, 30, plays a total of six cult leaders throughout season 7 of the FX anthology, including Charles Manson, David Koresh and Andy Warhol. Still, Murphy, who was an outspoken Clinton supporter, insists he didn’t sneak his own political beliefs into the show. “The world we’re living in is ridiculous. So, I think that the show, in some ways, is reflecting the idea that nothing makes sense, and the only way to get through it is to try and have some degree of humor about it,” he said. 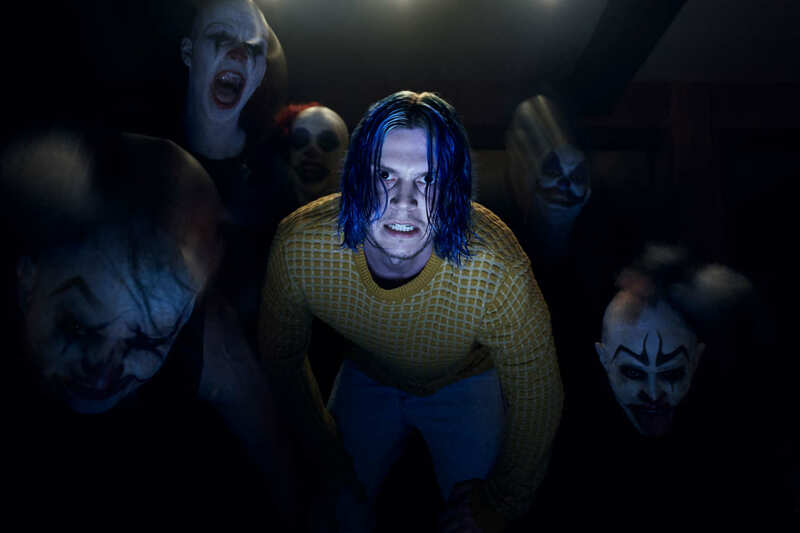 American Horror Story: Cult premieres on FX on Tuesday, September 5, at 10 p.m. ET.